I am a breastfeeding runner. When I started running over a year ago, my baby was 5 months old and receiving all of his nutrition from me. Since completing the Couch to 5K program, I have run several 5Ks, a 5 mile race, a 10k, and I am currently training to run a half marathon. Did I really just say that?!? Now my “baby” is a nursing toddler. I still feel very new at this running thing, but 3-4 times a week, you can find me plodding along at my turtle’s pace, trying to fit in a couple of miles before the kids wake up in the morning. Some posts contain affiliate links. You’re not obligated to purchase products through these links, but when you do, a portion of your purchase helps support this site, so thanks! If you’re interested in becoming a runner, you might think you need to wait until the baby is no longer breastfeeding, but that simply isn’t true. With a little bit of planning, you can totally make it work. Every breastfeeding mom knows that water is her friend, but this is especially true for the breastfeeding runner. Lately I take a large, reusable Tervis water bottle with me everywhere I go so that I can drink water without even thinking about it. Always nurse the baby or pump before running. Then there’s no need to worry about a hungry baby while running and you won’t be as “full.” Trust me, you’ll be a lot more comfortable while running! This should go without saying, but you’ve got to take care of those mammary glands! I’ve heard of moms who wear a nursing bra plus a good sports bra on top of it for extra support. I really didn’t want to do this because I knew there would be times I would need to nurse my baby immediately prior to or after running, so I found an amazing sports bra that works for nursing too. I love the Fiona bra by Moving Comfort. It is perfect for high impact sports like running and it’s especially rated well by those with larger cup sizes. It is not designed for breastfeeding, but it has a very unique way of adjusting the straps that actually works beautifully for nursing. The straps have Velcro that loop through the top of the bra for adjusting. By simply pulling the strap out completely, you can easily nurse your baby. I have nursed a baby prior to running my 5K races, and this bra is perfect for it. Even now, if I make it home from a run just prior to bedtime, then I might need to nurse my toddler as soon as I walk in the door so that I can put him to bed. The Fiona enables me to do this. I’ve also heard wonderful things about the Moving Comfort Juno, but I haven’t tried it yet. I love my Fiona too much to try anything else, but it’s worth mentioning because I have heard it’s even more supportive than the Fiona. I want to mention that I actually dealt with something called costochondritis, chest wall pain, as a result of not having adequate support while running. I had to stop running for a week or two and switch to the Fiona to correct the issue. And now there might be a white elephant in the room. If you’ve ever worn a sports bra regularly, you might know that certain things are more visible than you’d like them to be. This is especially true for a nursing mom, and if you’re actually going to run any races, then you might be concerned about actually being seen in your running gear. There are actually a lot of products that can help with this issue, but if you want something that is reusable and will not bother you while running, then check this out. It’s what I use and I don’t even notice it. I’ve always heard that exercising can cause a buildup of lactic acid in your breast milk, which would then make your milk taste funny and baby would be less likely to eat it. But you know what? Now I’m reading that it might not be true. And if so, it would only happen for those who are exercising at 100% intensity, which is probably not going to happen with a newer runner. But even so, it’s completely worth it to give running a try. Most likely, your baby will not be bothered by it at all. For more information, I highly recommend this article on KellyMom that examines exercise and breastfeeding issues. Remember, he won’t get another first year of life. This is the only time he’ll be breastfeeding and it’s the best start that you can give him, so make your nursing baby your #1 priority. If you feel you don’t have an adequate supply, then slack off on running or wait until later. However, I’ve honestly never had milk supply issues–I’ve only had perceived supply issues. With my first baby, I was often concerned that I lacked a good supply simply because I was no longer engorged all the time like I was in the beginning. 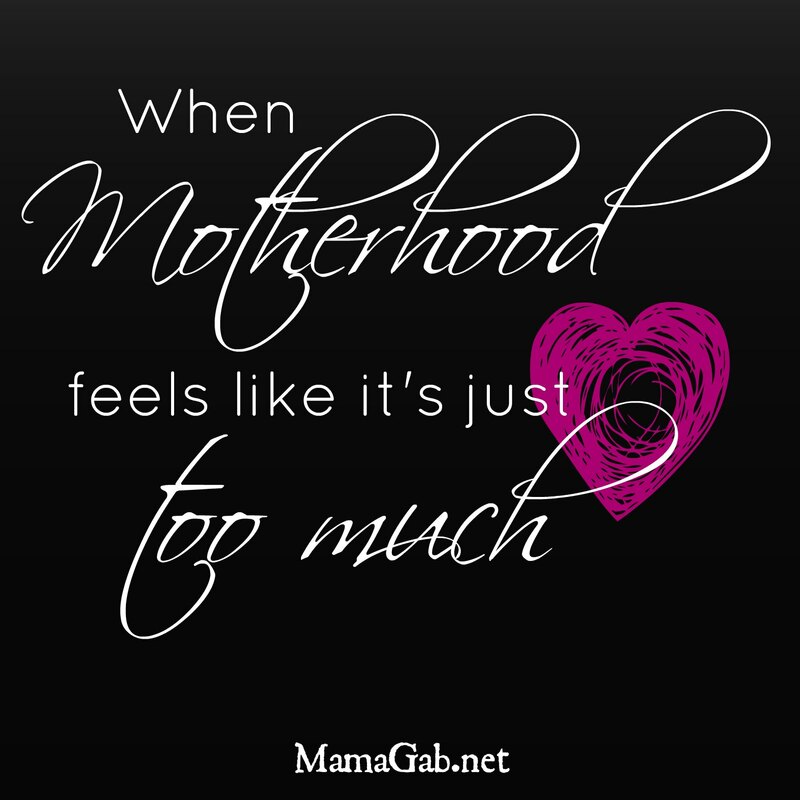 I find that new nursing moms often feel that they have a milk supply issue, when in fact they have more than enough and baby is gaining weight just fine. So before you stop running completely, really analyze whether or not you truly have a supply issue. But with that said, your baby really is your main priority and if he is not gaining weight well, then your fitness routine will need to go on hold. Since I was a new runner, I was not running fast enough, hard enough, or long enough for my milk supply to suffer. Good hydration, nutrition, and sleep are really important here. If you take vitamins and supplements, now is not the time to slack off on them. If your baby is waking up 4 times a night, you might want to wait a little bit longer before starting an early morning running program. When I started running, my little one was 5 months old and still waking up frequently. Early morning runs would not have worked, so we simply ran in the evening. With three kids. In jogging strollers. It was a hassle and it completely changed our evenings at home for a while, but it was worth it for my husband and I to become runners and establish the habit. Now we run in the mornings. I try to remember that one of the main reasons I’m exercising is not out of a sense of selfishness. I’m not trying to push aside my family’s needs. I like to keep in mind that my family needs a healthy and happy mom. The more I exercise, the more success I have with losing weight, which affects my energy and overall health. And when I exercise regularly, I’m better equipped to care for them and meet their needs. I’m also healthier emotionally. And my children will learn to take better care of their bodies as they watch their mommy doing the same. It’s hard to make time for it, but it really is a win-win situation in the long term. Have you ever been a breastfeeding runner? What would you add to this list? Hello my name is Savannah! I have been following your blog for several months now and you are by far my favorite blogger. I love your take on God spouse and kids. I also love how you breast feed past 1 year! I am a mother of three and I absolutely love breast feeding! I admire your commitment to blogging. It takes courage and I know it has to be challenging! I love your transperancy about everything. I know your blogging has encouraged and touched many moms out there! You and your family will continue to be truly blessed! I pray for the courage to impact others the way you have! Savannah, that is one of the sweetest things you could have said! Thanks for being a faithful reader and an encouragement to me! You know I never dreamed I would breastfeed past a year, but that just shows how important it is to never say never. It’s been a sweet thing for my toddler and I to keep on nursing. I only run on Sunday mornings when my husband can stay home with the kids, so I can’t offer any advice here. I will say that you’re 100% on target about being more comfortable exercising after nursing the baby. Even with a tight sports bra, the ladies just aren’t as comfy when I workout full. I’m totally checking out your bra recommendation. I’ve never found a sports bra I love, but maybe this is it! I hope you love it!! I think it’s pretty awesome. I need to order a new one or two, in fact. I love that they’re actually priced reasonably too. This is a great post!! I really like the Kelly C-D bra from Skirt Sports. Yep, one day he will! My second and third babies were like that–one slept through the night at 10 months and the other at 16! That was a long year+. I have been looking for a good sports bra forEVER!! I’ve always had to double up and yes it’s a pain when baby wants to nurse right when you get home. I definitely checking these out. Before I got pregnant with my twins I had started running and was really enjoying it. My goal was to run a 5K. Then I got pregnant, found out it was twins, and the running stopped. And after yet another baby, I haven’t been able to get back into it. Well, that baby in now 15 months old and I’m so ready to get healthy and back in shape. I’m going to give the Couch to 5K a try. I’ve already downloaded the app on my phone. I’m planning to start Tuesday! Say a prayer for me! Sarah Avila recently posted…Moms of Many – I Want You! I really will! It was so hard for me at first, but if I can do it, truly anyone can. I am still so out of shape, but man, I can run! Slowly. 🙂 I hope this bra works out well for you. I really love it.